Fibromyalgia - The disease your doctor might miss. 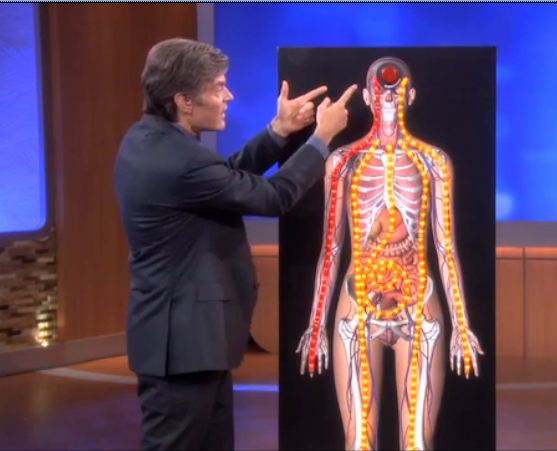 Dr Oz spoke with Dr Jennifer Caudle and Dr Sean Mackey about Fibromyalgia in the 23rd July 2013 episode of Dr Oz Show. I present here the links to the episode and also some excerpts and highlights for those who are unable to view the video. I encourage you to share this link to help patients across the world. Millions across the world suffer with fibromyalgia and yet there is a lot of misdiagnosis and ignorance. Patients go through a lot of physical and emotional pain caused by this invisible illness. We are thankful to these three doctors for bringing this condition in light and breaking many perceptions. Here are some of the highlights of the show followed by the video links to this episode on fibromyalgia. Is Fibromyalgia a life-threatening disorder? Dr Jennifer said that it is not deadly condition but is definitely life-threatening condition in the holistic sense. Patients' quality of life is affected as they cannot life their life to the fullest and cannot do several daily thinks like going to the work. 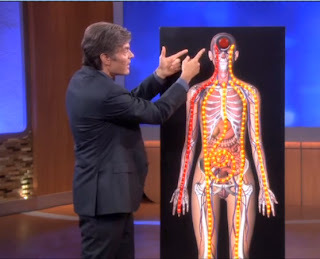 Further in the show, Dr Mackey reveals the latest discovery about fibromyalgia. For the first time it is understood that fibromyalgia is probably not a disease of the muscle, joints, ligaments or tendons. It is discovered that it is a condition of the Brain. The nerve / neurons process the normal sensations differently in fibromyalgia patients resulting in excruciating pain. And their pain alleviating functions are all haywire. Trauma, injury, infection, flu and stress. The show also includes stories of some patients with fibromyalgia who went though a lot of misdiagnosis and often broke down. 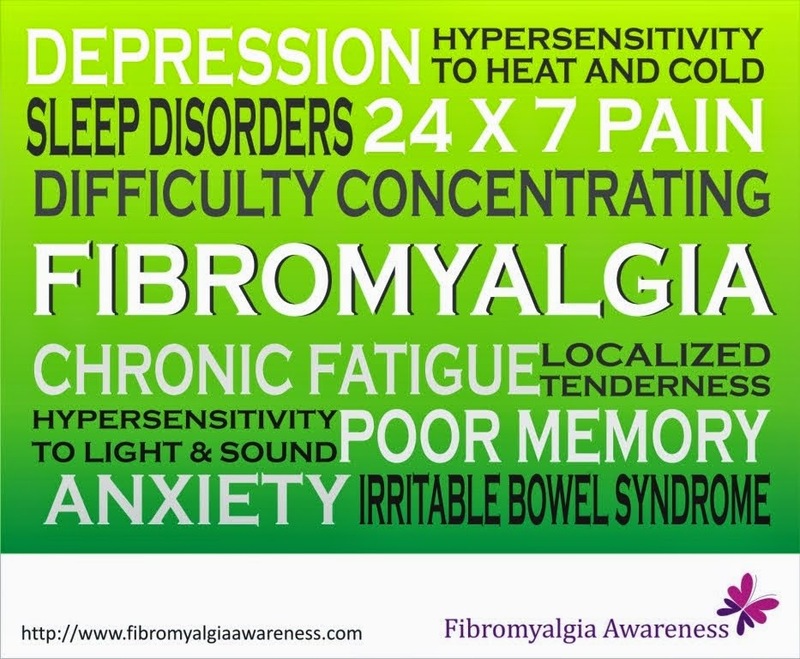 If you have fibromyalgia, you will totally relate with the strange things some doctors say, the depression and scare patients go through, the way many patients are unable to work, the way family and friends do not believe that you are sick and what not! Dr Caudle suggests that if you are not comfortable with your doctor who is just saying that you are a hypochondriac or it's all in your head, it makes sense to visit another doctor. One must visit a Rheumatologist for fibromyalgia treatment. Neurologists can also be of help. A unique Osteopathic Manipulative Treatment (OMT) performed by osteopathic physicians can also help and the show includes a demo for the same. It helps relax muscle spasms. If you've noticed your symptoms get worse after caffeine, you should try to cut back. Start by filling up your mug with half decaf and half regular. I am glad that the doctors are helping fibromyalgia patients by sharing the latest findings and breaking the myths. Here's hoping for a curative treatment and fibromyalgia patients getting relief from the condition and lack of awareness. Oh please bring this to South Africa?!!?!? I hope this treatment is available everywhere! Are these videos able to be viewed in the UK? Here in Northern Ireland you are diagnosed with this condition but still frowned upon when you need to attend your GP for treatment. You are seen as a complainer.